Hi Jenny, your third point on badges stifling creativity and emergent learning is an interesting twist. Virtually every attempt I’ve made to “upgrade my skills” to become a more versatile and productive employee has crashed head on into the wall zero motivation. First is the obvious lack of reward system in most organizations for pro-active behaviour. We are offered silly professional development “opportunities” that are incentivized by a structure of promotion and pay raise that has no expectation of utilizing my personal passions unless the somehow paralleled corporate needs. Anyway we have managers who know what we are supposed to know and this is NOT a bottom up process. 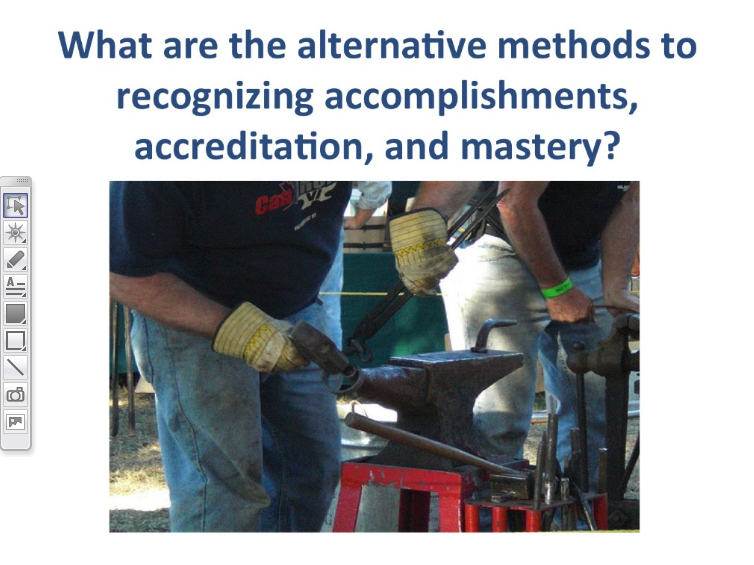 Second, applying abstract incentives driven by motivations that don’t represent things I personally value hardly seem worth the effort. Having done thousands of hours of volunteer work that often has been worse than the job I do for money (or even work I wouldn’t for all the money in the world) it seems to boil down to discretionary hours draw from a different pool of incentives–this even applies to work I do at work for students or fellow staff. Maybe a good test of whether a badge is important is to ask who your skills are for. Some things about me are mine to decide where, when and for whom they will be used. Badging them feels a bit like they will no longer belong to me. Thanks for the post Jenny, sounds like an interesting project. I have never resolved in my head the extent to which learning should be ‘rewarded’ as opposed to engaging in learning for its own sake – for the love of it. When I was teaching children it used to give me a real thrill when they ‘took off’ on their own projects that they were passionate about and where there were no marks (badges/rewards) involved. This seemed to me to be what learning to learn was all about. But equally, I taught many children who only seemed to make progress if they got lots of ‘pats on the back’ and stars posted by their work. My sense at the moment – and I am new to the idea of badges – is that they promote the latter way of working rather than the former. 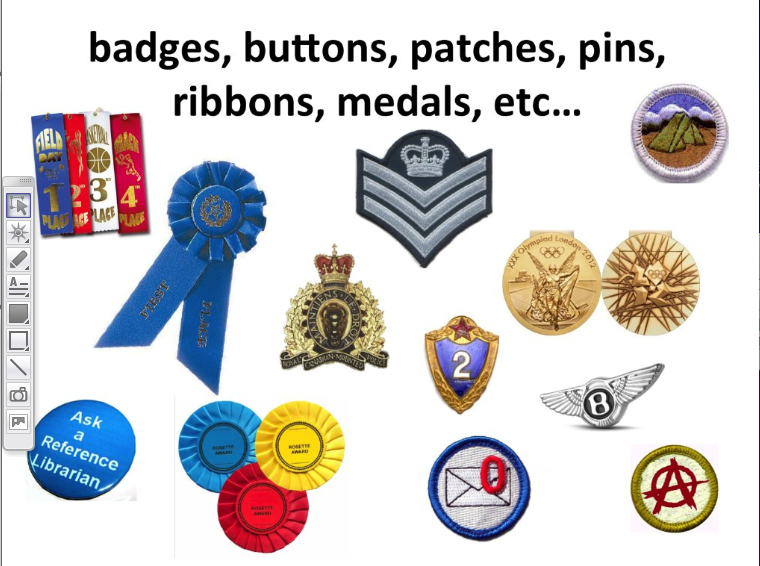 In terms of whether a badge really ‘belongs’ to you or not, there was discussion in the webinar about creating your own criteria for a badge, in the same way as on some courses students are invited to write their own criteria for assessment. I am still thinking about whether this would make a difference. Anyhow – the SCoPE seminar is open if you are interested – just go to http://scope.bccampus.ca/ and join in – or alternatively ‘lurk’ !